You have the option of dragging your file into the box provided, or browsing files on your computer. Select the appropriate group from those listed. The group you select will be the designated owner of the data. Koordinates will then process your upload. Once your data is uploaded, you will be automatically taken to 'Import/Update Data.' Here, you will see a list of uploaded files. 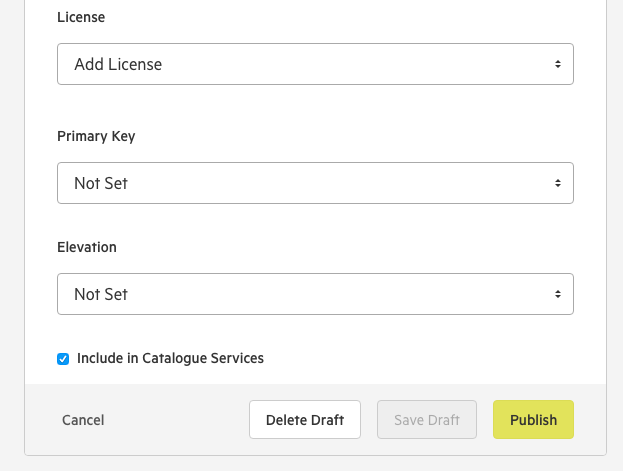 Select the file you wish to import by checking the box next to the file's title. After clicking 'Import,' you'll be taken to a 'Create New Layer' page, where you can edit the details for your imported data. Public Access. You can set no access, standard public access, or a range of other advanced permutations. Group Access. 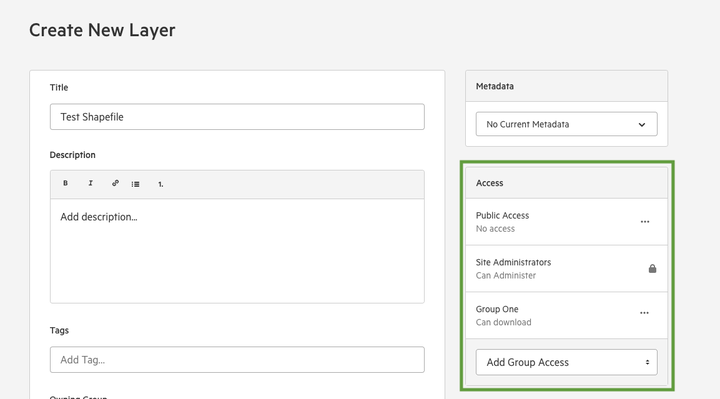 You can set view, download, and manage permissions for your existing Groups. The third setting is Site Administrators. 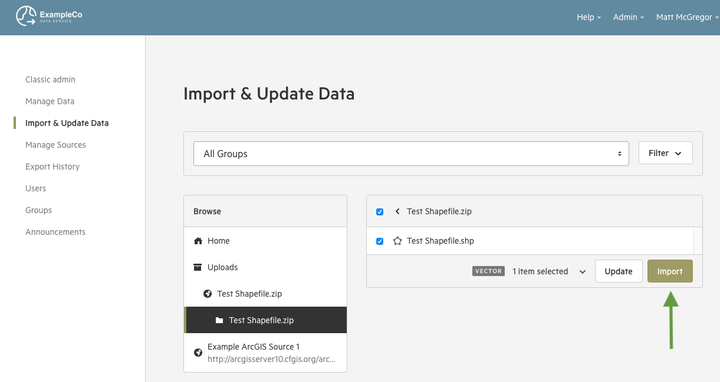 This cannot be edited, but exists to remind users that all Site Administrators will be able to administer imported data. 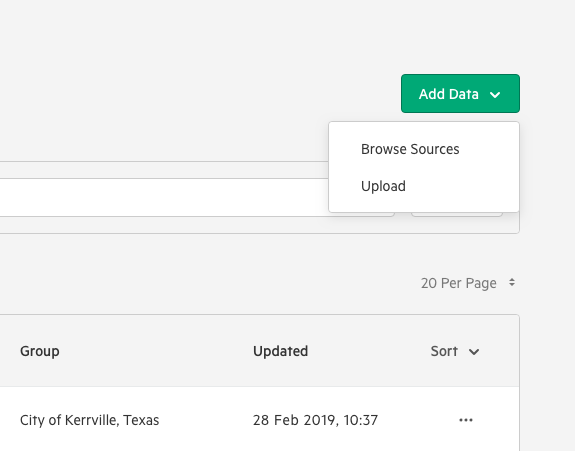 The remainder of the 'Create New Layer' page will enable you to the details of your new dataset, including description, owning group, and license. Note that you can skip this step and edit these details later on. You have two options for importing data. Import and Publish. This will enable users with access permissions to access your data on your live site. Import as Draft. This will enable you and your team to QA data prior to wider publication. 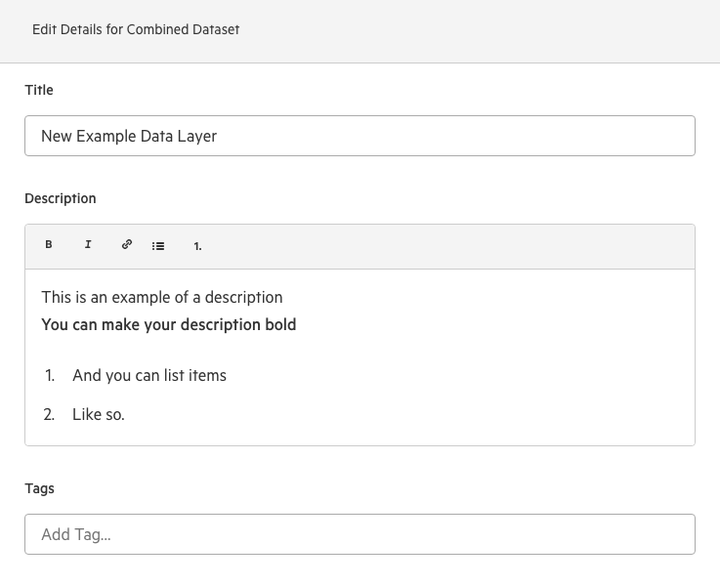 If you have chosen to import your data as a 'draft', you can appraise and QA your import by clicking on the dataset title.